Yes, many the broadcast engineer of today is usually a purchasing agent with a cell-fone constantly in contact with the manufacturer. It is too bad they cannot make strip-line circuit boards with ‘plug-in’ solid state devices. This is why I still like vacuum tubes for high power transmitters. Some will probably laugh, but getting a transmitter back on the air quickly along with good metering made the broadcast engineer’s life a lot easier in the good old days. 833A tubes seemed to last forever before China, and Amperex VHF tubes made in Hicksville, LI were simply excellent! This is why I like running the old stuff. It was built to last whereas the new stuff is built to replace. which is used in harris Z10CD series of transmitter. I don’t rightly know. The BLF-177 part number was from the manual. 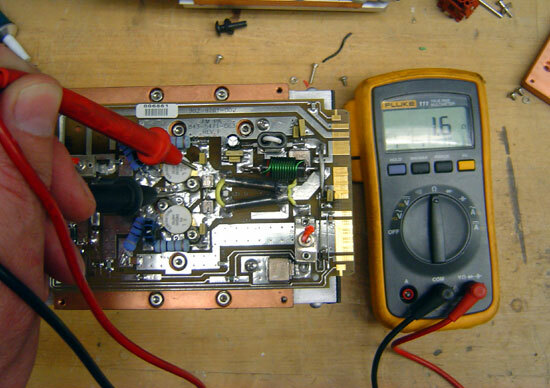 the procedure to change the mosfet told by paul thrust is correct . 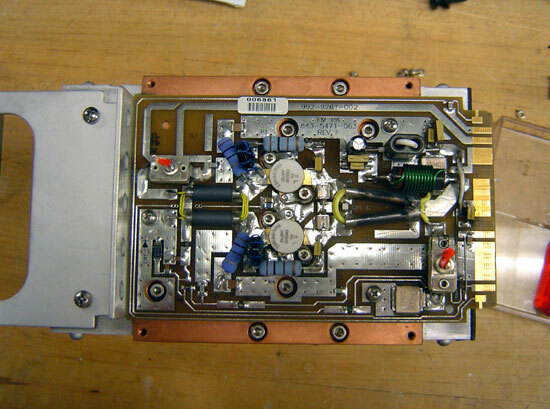 i also adopted the same procedure many time to replace the faulty MOSFET .M an engineer on a fm station in pakistan and i always try to remove the fault in fm transmitter and other equipments my self succesfully. Some time it takes time. @Javaid, thanks. Keep up the good work. 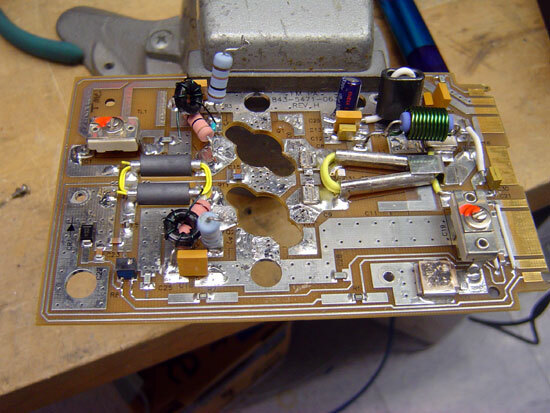 I’ve repaired many of these amps since this was posted, they all seem to work afterwords. @David, sorry I can’t be of more assistance to you. Perhaps one of my intrepid readers will have something more to offer. Good Luck! please quote me for MOSFET , BLF-177. quantity is 25 pcs. 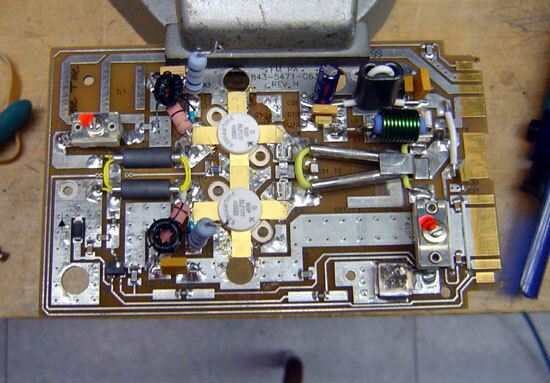 Also please let me know ,if you can repair the PA Pallet of 425 watts,for Z5 CD Transmitter. Where are you located please ? In US or elsewhere. To remove the defective MOSFETS / LD-MOSFETS, i prefer to use a hot air gun. install the board / pallet on wooden planks (one on the input side the other on the output) making sure the MOSFETS flanges wont touch the planks. Finally, use the hot air gun to heat the MOSFETS and surrounding board area and using tweezers regularly touch the MOSFETS to see if the solder has molten. If there are drain / gate capacitors, gently take them off when solder melts before you remove the MOSFETS. 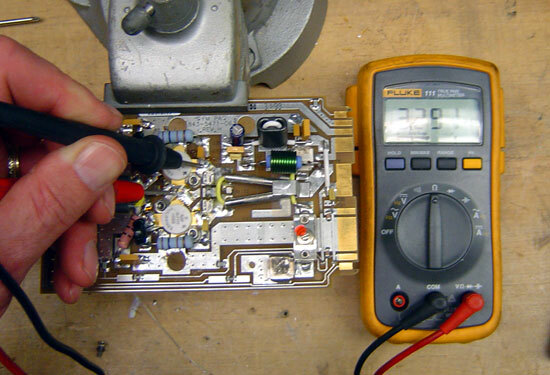 This method has the advantage of not damaging the PCB when devices are removed. However, this method is risky if there are any SS SMD devices close to the MOSFETS as they will fall off when you heat the board. It’s up to you to decide. And finally, take the habit to take pictures of your board (both sides) before servicing. If a badluck occurs, you’ll have a backup ! Just replace the mosfet damaged by a similar ON5040. I have done a test outside the transmitter. my question is how do to inject the gate voltage, and this voltage can simulate. Hey Luis, I usually use a volt ohm meter, you can bias the gate on or off with the positve lead. Thank you Paul, for you info. Here in New Zealand,pallets for nay type of VHF amplifier are like gold, and when I saw this one i quicky purchased it. 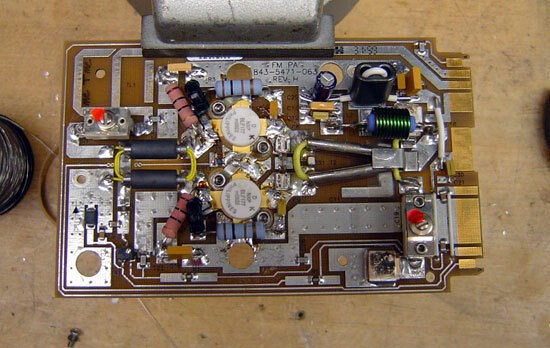 Paul, when you repair these boards and put back in the transmitter, do you notice any increase in ISO LOAD temps? The factory phases these (note trimmer caps on the board). Having never worked on Z transmitters before, I’ve recently had the pleasure of working on a very early version of this beast. It started out very strange because someone had stuffed Z3.5 firmware into it, so four of the PA pallets were invisible to the Master Controller. 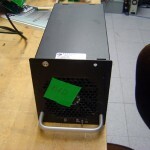 This unit has the -001 PAs with the Motorola MOSFETS. GatesAir cautions not to mix -001 PA’s with the newer PA modules in the same PA deck. We had a bad PA module and elected to make a module exchange. Turned out the exchange module was the newer design, and the ISO temp skyrocketed to 100 in a few minutes. That module ended up in the IPA, where it lives happily in isolation. The factory also advised that a common failure of the -001 modules is fatigue cracking of the solder holding down the tubes of the transformer loops. If the tube becomes detached, MOSFETS’s will blow. Hal, that is a good question. Last week, I went to several transmitter sites where these repaired modules have been installed. No major differences in ISO load temps that I could see. I actually own a Z5 that I use as a rental from time to time. De-soldering the Mosfets is a real pain in the head. I use a razor blade to cut all the tabs, then a remove the heat sink and the tabs slide off easily. Thanks for the article! After replacements of these faulty MOSFET,s need to tuning ? or it will work properly? Paul, I have a PA board from a Japanese 1KW amplifier that uses (4) VRF 2933 Mosfets. Could I send it to you for repair since I lack the ability to do it myself? We took a hard hit here from Hurricane Maria and supplies and equipment are very limited. Have you had to order any BLF177’s since they went EOL? Mouser no longer has them, but I see RF Parts still lists them, and there’s a bunch on eBay (buyer beware). I just had to order IRF350’s from an eBay source for an SX-1, and that doesn’t feel good, even though I realize the SX is chock-full of other unobtainium parts. Gregg, I have not had to order BLF-177s in quite some time, I think we still have a pallet or two in stock. This is one of the problems with solid state devices, they have a finite production life, after which the supply runs out and the equipment design becomes obsolete. All of these solid state transmitters have a life expectancy of about 10-15 years unless a very good spare parts stock is maintained. I’m try to find ON5040, I need 6 units. Could you quote me price? When Harris changed those modules to work with IBOC, we ended up with dozens of them that we couldn’t use. Many years later, I took them apart to salvage the copper. I got good at tearing them apart, never thought about repairing them. All the boards and devices went to the e-waste pile. I kept 2. I have since used them as IPAs. 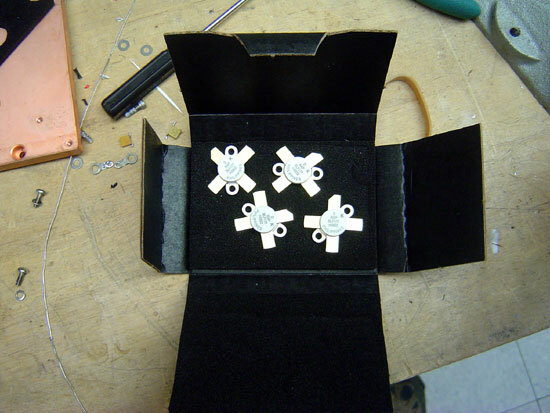 The same module was also in the early Z series IPA and beta IBOC parts. I have a Harris chassis that is essentially a power supply and edge connector with a module, and fan. They are easy to turn in to a PA in a pinch.